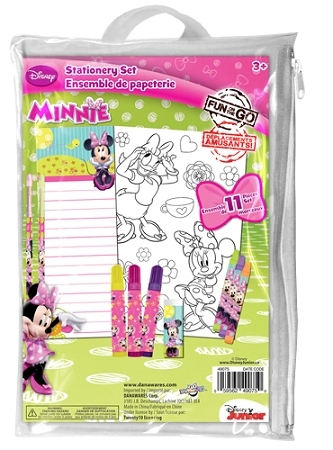 Minnie Fun on the Go Stationery Set great activity for kids on the go. 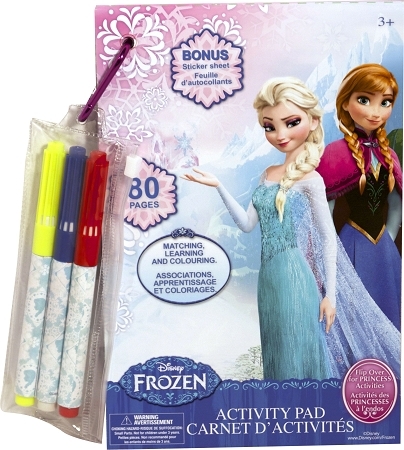 Frozen or Minnie stationary set is nicely packed in re-usable zippered pouch with handle. Great for loot bags. This activity set is recommended for kids age 3+.